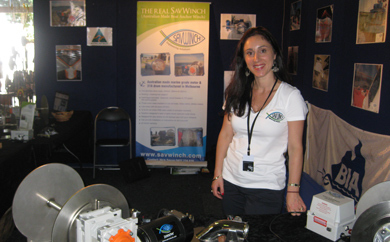 We had a great time introducing Queenslanders to our Savwinch boat anchor winches last week at the 2012 Brisbane Tinnie and Tackle Show. 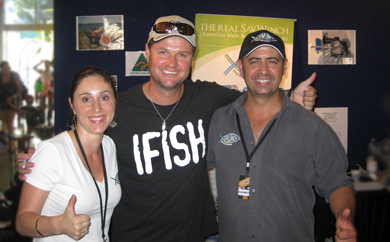 Well organised by Jason Plant and his team, the crowds came in and showed great interest in our Savwinch products. With great presentations and a good atmosphere the show was a real success. 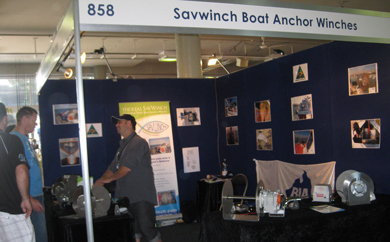 Thank you to those who purchased a Savwinch boat anchor winch and to the boating retailers and manufacturers for visiting our stand and showing interest in our products. See you in 2013. 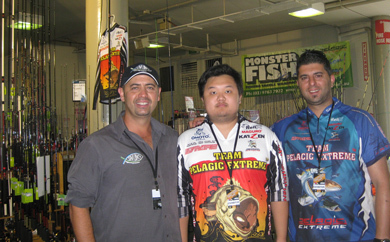 We got to meet and introduce our products to Paul Worstelling. Here is a photo of us below.